Hailing from Australia, Audiofly makes pro-musician stage and recording headphones with multi-driver technology since its inception in 2012. It’s one of the few brands which has a full series of dynamic and BA-based earphones. They have a couple of hybrid earphones then a triple driver earphone and the one I am reviewing here, their flagship from last year, sporting four balanced armature drivers , the AF180, priced at $499, it comes in two color options, stone blue and clear. (this year they have the AF1120, their new flagship). AF180 goes heads on with many multi-driver earphones from brands like Shure, 64audio, Earsonics and much more. I will also be comparing it with 64audio U3, Aedle ODS-1, and my good old war horse, ETY ER-4P. AF180 comes with plenty of accessories. After the earphones, the first thing that catches the eye is the Waxed canvas storage wallet, in other words, the carry case, I have to say it’s one of the best looking carry cases around, not strong like the DUNU cases, but this one looks good. it has a softer padding over a harder protective layer under it giving it the required amount of solidity. Audiofly are generous with the size too, outer dimension of 6in x 4in with a depth of one inch means you can easily carry your portable player in it. You can find 3 pairs are comply T100 tips, 3 pair of single flange tips and 3 pairs of triple flange tips in the box. There is an airplane adapter, a quarter inch adapter and a user manual sums up the list of accessories. Blue stone variant comes with black cable and the clear variant comes with white cable. I would have liked a cable clip out of the box but its fine without it. AF180 is totally made out of plastic still the build quality is good, not as good as the ODS-1 or the 64audio U3 but better that the ER4-P. AF180 comes with their trademark Audioflex cable, the cable is one of the best when it comes quality, it’s really light weight when compared with cables from other brands and doesn’t have any microphonics to complain about. It’s not bouncy at all and supple. The Audioflex cable is reinforced with CORDURA fiber technology, a layer of fiber that covers the cable from the 3.5mm jack to the cable splitter, protecting it from any kind of mishap. I have to admit that these cable guides are some of the best one can find on earphones, bit more supple and gentle on the ear compared to the B150. 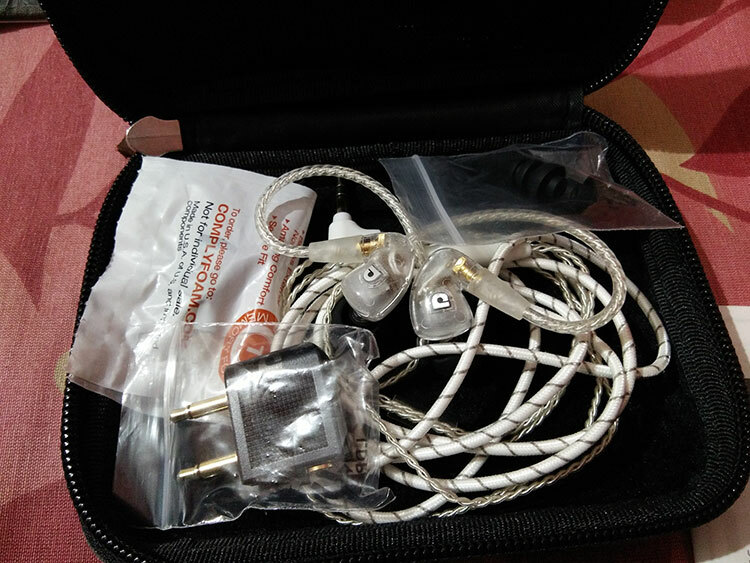 The 3.5mm jack has a really small profile to it, it’s not really stress relieved but it has the layer of CORDURA fiber protecting it, which is good enough. There are L/R markings on the front side of the earpieces but you don’t really need that because wrong earpiece won’t fit the wrong ear. Audiofly is really generous with the cable and its long.. really long .. It’s like 170cm which is really long even for a 8 feet tall guy. Now I have to say it first, I am coming from one of the most comfortable earphones I own Brainwavz B150, I love the way it sits on the ear without any discomfort. AF180 is really close to it, ergonomically speaking its far better than many earphones out in the market, its designed to sit effortlessly in the ear. The only thing is it is slightly bigger than B150 still it sits plush in my ears without sticking out, easy on ears and comfortable to say the least, the longer and narrow nozzle plays a good part here (exactly like B150). I love the way the supple cable guides do their job, sits firmly and comfortably over the ear holding the ears tightly without any scope of uncomfortable movements, no adjustment required. If B150 was really really good, it’s really good when it comes to comfort. Isolation with foam tips is better than many and one doesn’t have to worry about passive noise while enjoying their music. Silicone tips are good too. Triple flanges are above average with isolation but are slightly uncomfortable. (don’t use earphones where you have to be aware of your surroundings, stay home and enjoy your music or at your gym). As I said earlier, we have 4 balanced armatures with crossovers to do the heavy lifting here and it’s a good example how typical BA based earphones sound like. It has good balance across the spectrum, bass has acceptable presence, mid range is a bit boosted by a db or two giving it a more forward presentation and highs have far better extension than expected with slightly lesser energy compared to the mid range. Unlike some other multi BA earphones who just want to through all the details at you with razor sharp notes and on your face kind of presentation, AF180 not one of them. It has a slightly laid back type of approach, it doesn’t miss out on any details but its notes are slightly less sharp and a bit thicker most of the time. Bass of AF180 has a typical BA type sound to it, it is ever so slightly more present when compared to the ER-4P and q-JAYS. Typical to BA it doesn’t have a huge impact nor it moves plenty of air. It has a reasonable body, smaller impact, moves some air, has slight amount of rumble which you can’t find with ER-4 or q-Jays, the best part is its decay, it hits.. and vanishes in no time, just like that and I love it. The other two have faster decay but they don’t make the bass enjoyable which AF180 does. AF180 has good extension, there is a good amount of sub bass, mid and upper bass are slightly lower in energy still make their presence felt. 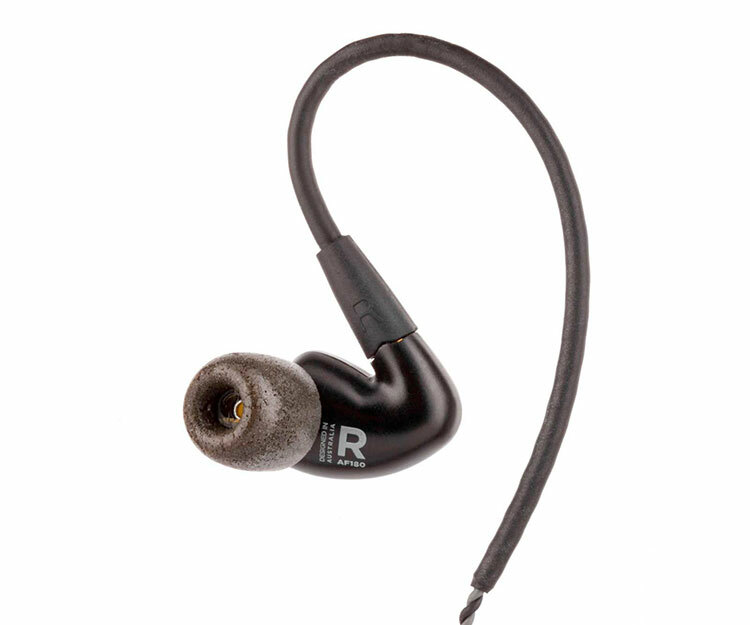 This earphone has good amount details, control over notes, transparency and clarity. If it was not evident let me make it clear that AF180 is not an earphone for you if you want airy, impactful bass with body, its nor ruler flat but won’t make a bass lover happy. Those who thought ER-4 was really flat and would like a bit more life with the bass will love the AF180. Good quality bass I must say. I just sit back and admire the way it keeps up with fast paced music without being too analytical. Mid are well balanced with the bass region and the transaction from mid bass to lower mid is appreciable. Now I don’t think I have to tell you that there is no bleeding what so ever. The whole mid range has good stage presence and is evenly spaced. There is a good amount of detail with vocals and, female vocals are really enjoyable, male vocals sound slightly sharper than usual but that’s not a new thing for BA-based earphones. Vocal notes are presented with slightly above average depth and sharpness with a beautiful texture. Vocals have good resolution and transparency, it aims for accuracy instead of trying to be pleasing, that added notes depth and energy can lead to slight sibilance at times. AF180 is tuned to give a really tight and controlled vocal presentation. It has a good amount of head space, not clumsy at all, which helps with separation and layering. Upper mids are more energetic, every instrument maintains its clarity and have plenty of instrumental attacks, if you are used to V-shaped sound signature or like relaxed or smoother upper mid range this will be slightly hard to swallow. Upper mids have better than average presence and good stage size which makes it really enjoyable given that you are not bothered by its sharpness. Unlike the or Er-4p, AF180 has sharper mid range and have more energy to it. Everything sounds a little more aggressive than usual. Another thing is that it lacks the organic touch or say timber that ODS-1 and other dynamic driver earphones have, but the transparency and clarity of AF180 are undeniable. 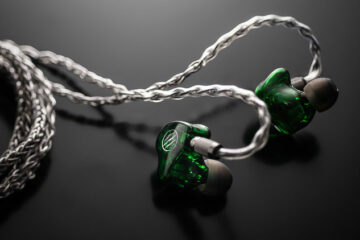 If you like your mids colorless, clearer and sharper, this earphone will serve like a charm. I have seen many multi BA earphones who can’t control their top end, they tend to get really sharp and sometimes lack the required amount of control which is not the case here, it is well contained under the line and pleasantly present with the required amount of energy and spark. Overall presentation is smooth and easy on the ear while maintaining the level of clarity and details. Now I have to say AF180 is really well tuned here, even when I like sparky highs I have to admit a bit more energy would have made it slightly uncomfortable for those who don’t love spark in their treble. Another good thing about this highs is its extension and the way it maintains the energy until the end which makes it airy and more resolving. One can experience a bit more energy at around 7-8k still not sharp by any means. Layering, instrument separation, and transparency are of a high class with the bigger than average sound stage playing a part in this. I advice to use foam tips as they give a better sense of space and sounds more out of the head where as triple flange and single flange silicone tips produce more in the head type of stage. With foam tips sound stage is slightly better than average with decent depth and width with good height. With silicone tips its becomes taller, conical and shallow. Use silicone tips if you want sharper tonality in expense of stage. Even when specs suggest an impedance of 18ohm and 108db sensitivity at 1k it is not one of the loudest earphones around. Using an amplifier helps with stage and makes the bass slightly more present. You can drive the AF180 out of any portable device, it might not be able to bring the best out of it (especially mid and lower end mobile phones) as AF180 demands some power. Works fine out of my Cowon j3, C2 Plenue D. It sounds slightly darker out of the J3 but it’s not a problem. The U3 is outright colorless, not flat like the ER-4P or q-JAYS but flatter when compared with the AF180. It has similar details but edges past the AF180 with its slightly better transparency and accuracy. The U3 doesn’t have the mid-range emphasis, the slight vocal sibilance or upper mid range energy which AF180 has. The U3 slightly bigger impact with equally good decay, doesn’t go as deep still goes deep enough, there is good mid and upper bass presence with mid bass having slightly more emphasis. Highs have good extension and energy but AF180 is better with extension. The sound stage of AF180 has better depth and width with slightly smaller height, U3 sounds clumsy thanks to its shallower depth. The AF180 comes with more tips option, bigger carry case. The U3 takes time to get used to as one has to set the cable guide to their comfort first. The bigger than usual size can be a problem especially for those with smaller ears. The AF180 reigns over the U3 when it comes to accessories, comfort, sound stage and top end extension. The U3 has slightly better clarity, better timbre, and presentation but its let down by its depth of stage. This beauty hails from France and impressed me from the word go. It’s neither targeted towards accuracy nor meant for monitoring purposes, it has a totally consumer friendly tuning with bigger bass, beautiful impact, moves ample amount of air, has silky smooth mids and ever so gentle vocals and top end. The ODS-1 lacks the upper mid-energy and any type of aggression from the mid or treble region. The only attack that comes is from the lower end. It has far better sub bass rumble and is full bodied. The decay is slower and slightly muddy sounding. 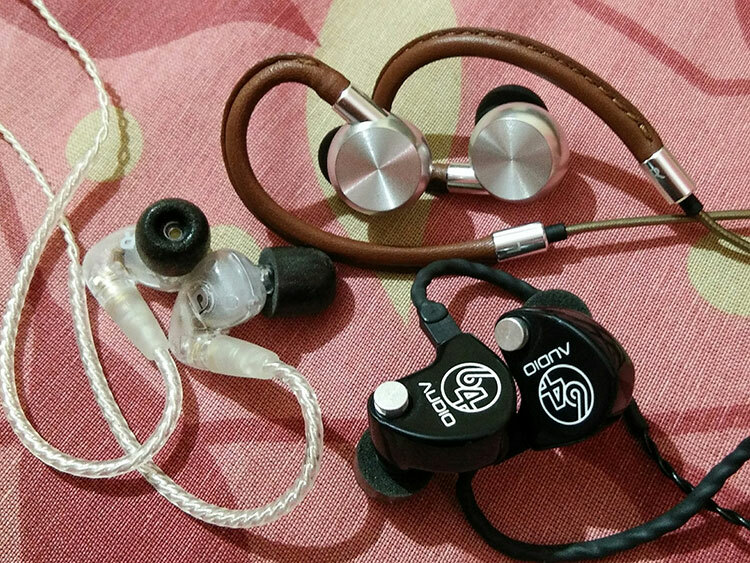 The ODS-1 has one of the biggest and well-rounded soundstages I have experienced on an earphone. Unlike the AF180, ODS-1 matches well with most sources. It doesn’t need any type of amplification to sound good. It falls short when it comes to resolving details by some margin. The top end lacks the required amount of energy. The ODS-1 has some decent extension but it is not as good as the AF180. ODS-1 has a not so good cable for a mid-fi earphone. It is rigid and has some microphonics too, but it comes with a handy remote/MIC unit, useful when used with mobile devices. Cable guides look really classy and are made out of calf skin for comfort but are what they are, you can’t mold it well and are slightly uncomfortable. A shallower nozzle means it slips out of the ear at times. 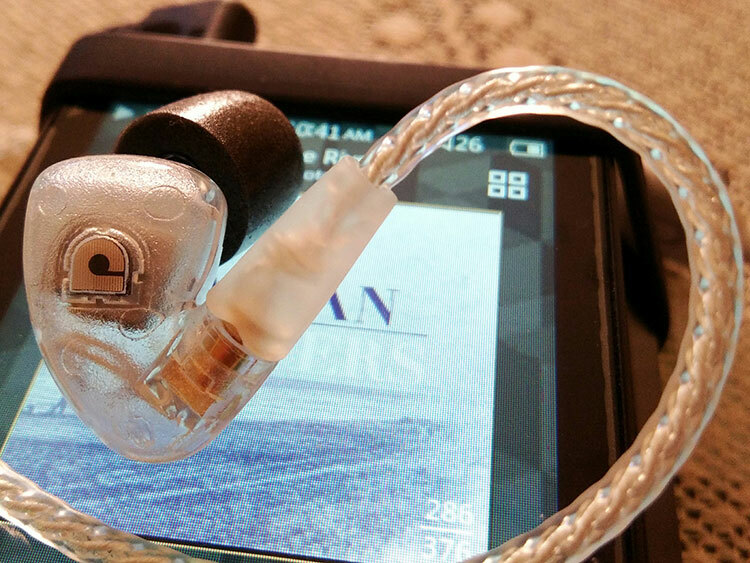 It is one of my favorite, one of the most accurate earphones for under $500. Ruler flat spectrum, blazing fast decay and it’s brighter tonality makes it one of the best earphones in the market at that price. Even though it has better reach, the lower end lacks any type of thump or rumble, a small impact and everything from that bass note vanishes in to thin air. Mid bass and upper bass have similar presence. Mid-range and vocals sound drier but have similar clarity and details. Both have good treble extension but AF180 edges past with a bit more depth. Both these earphones have good transparency and clarity but AF180 has better resolving details. The 4P doesn’t have any type sibilance or emphasis to any part of the spectrum like AF180. The 4P has a heavy and microphonic cable but comes with a cable clip. Both have an equally good package and choice of tips. AF180 is a fantastic earphone, let it be tonality, comfort or package, it doesn’t let down from any angle. Targeted towards accuracy, it has good clarity and details for its price and competes well with similarly priced earphones. One of the most comfortable earphones at this price point and comes with plenty of accessories. Suited for monitoring purposes, studio and stage usage. It’s an earphone for those who enjoy accuracy and sharper notes with plenty of details, not for those who are looking for thumping bass want to enjoy the impact and are not okay with energetic notes presentation or are casual listeners. Have you tried or are you planning to try the af1120?